3 years in, 3 things I never thought I'd be making! 3 years in and getting adventurous! 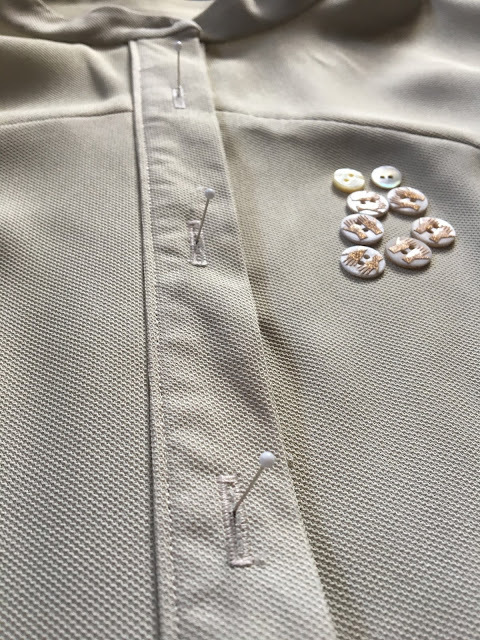 I've avoided button holes for the majority of my sewing 'career' for no good reason - it was probably a dodgy one early on that put me right off. 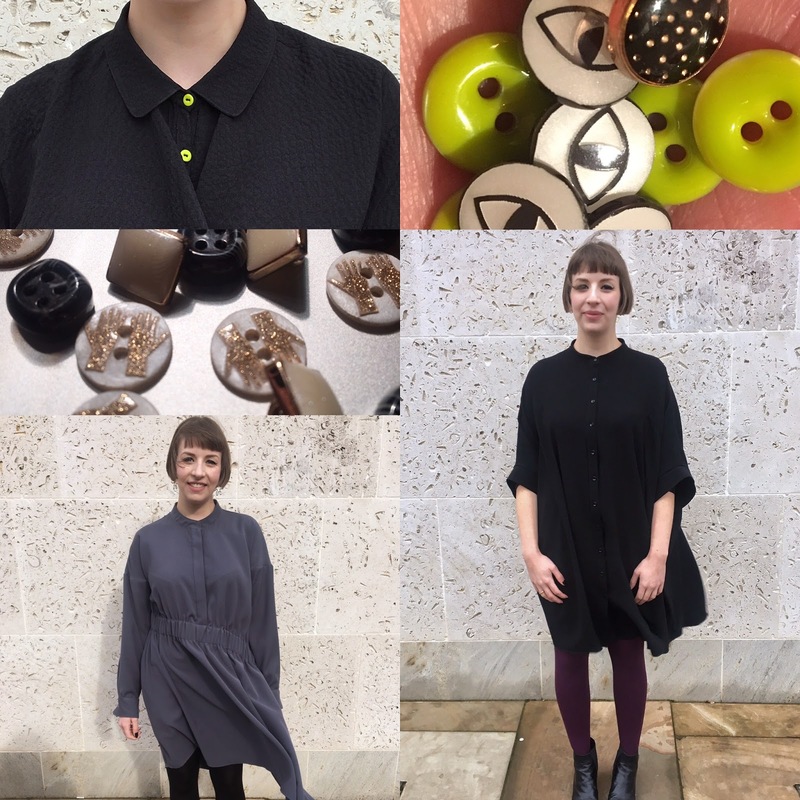 As a result, I never thought I'd make a shirt or shirt dress of any kind and the last of my very rare high street purchases was in fact a button up yellow shirt from &OtherStories - my excuse for buying it being 'I couldn't possibly make this myself'. All that changed in my desperation to own another &OtherStories garment, an oversized shirt dress, which I took the plunge and replicated with the Ralph Pink Sahara pattern at the beginning of the year. 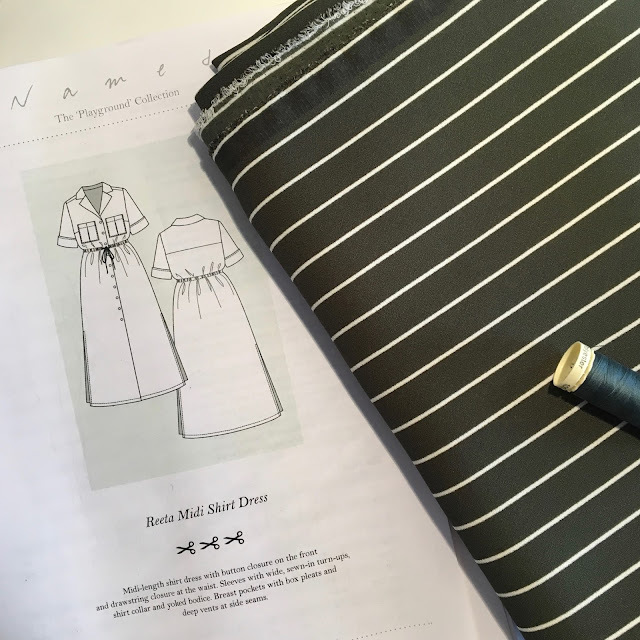 Shirt and shirt dress sewing! I always swore I'd never move into sewing with knits. 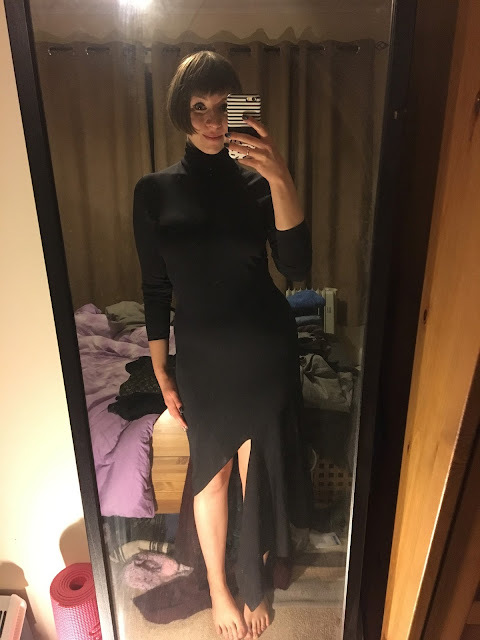 I didn't wear them very much anyway and on the rare occasion I did, I thought I could save myself the hassle by buying something from the high street. 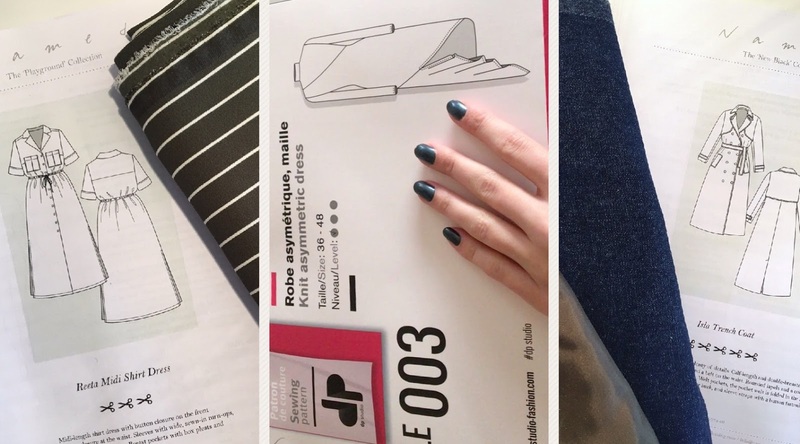 But the further I got down the sewing line, the more natural it felt to transition into sewing with stretch fabrics. My introduction to closer fitting knit garments was the Papercut Pattern Rise Turtleneck, a firm favourite that you'll probably see me wearing with or under most of my other makes. I even tried a hacking it to rip off a top from Finery. A bunch of basic t-shirts is on the cards once I stop getting carried away with more exciting projects. DP Studio Le003 first try on - excuse the messy room! Again, I was sure that I'd never make a coat or jacket of any kind and used this as an excuse to spend a small fortune on the French Connection one, with a lining that shredded at the blink of an eye. I forced myself to step out of my comfort zone and try outerwear last year with the Papercut Patterns Waver Jacket, and so another garment dropped off my 'acceptable to buy' list. 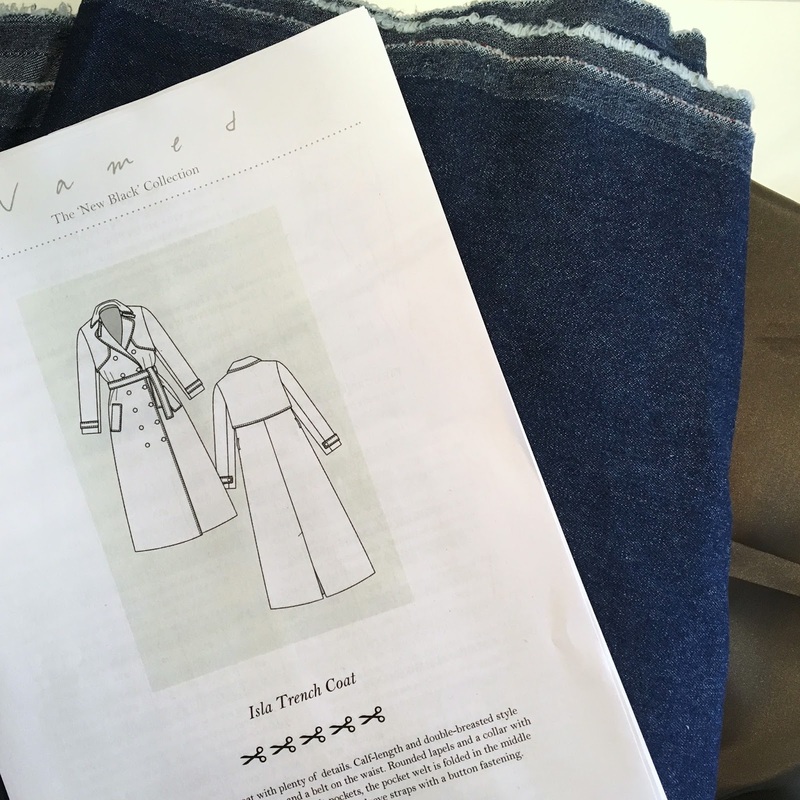 Making the Waver was one of my most enjoyable sewing challenges, so I followed it up with the made the Named Yona Coat as last year's winter jacket. I'm just about to start making what I think might be my biggest outerwear and sewing challenge so far, and one from my #2017makenine - the Named Isla Trench Coat in denim. Watch this space! I'd love to hear other people's thoughts on this! What's the handmade garment that has surprised you the most? The thing you never thought you'd be making in your wildest dreams? Thanks again for sticking with me through the last three years - here's to many more to come! You have made some lovely garments in the last three years and it's great that your confidence is growing with every make. I can definitely see you making jeans and lingerie in your future as I think you like to challenge yourself. 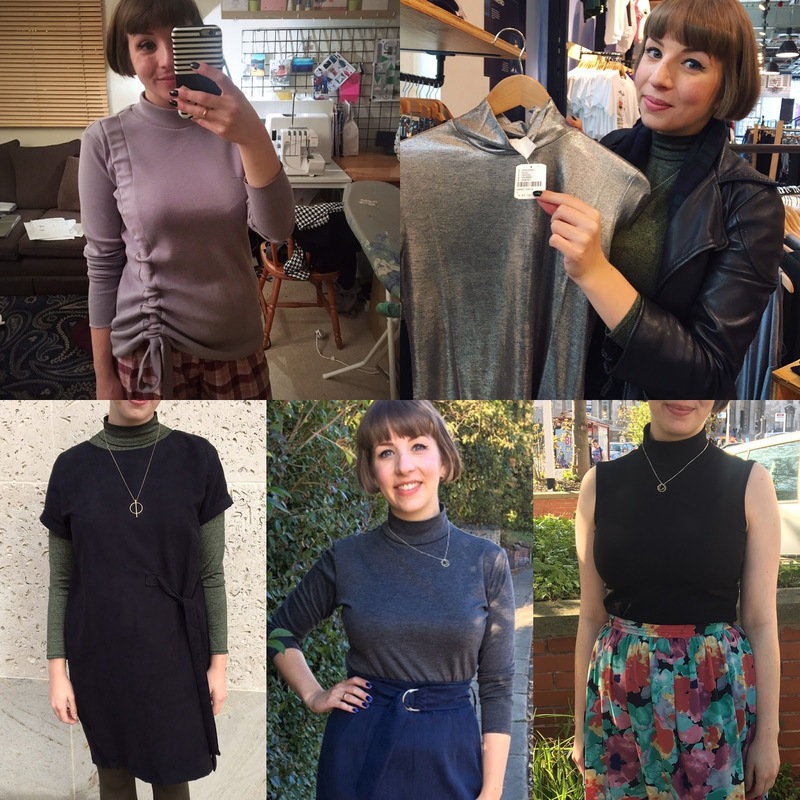 You've made some fantastically stylish garments in the last three years. I love that you pick slightly more edgy styles, a lot of the things you make I'd love to have hanging in my own wardrobe. You should definitely give jeans a go, they're not as difficult as you think they're going to be. I started out crafting as a knitter, then got into sewing, and one thing I never saw the point of doing was knitting socks. Well, one day I got the urge to give them and go, and now they are the only thing I knit!! I love all your makes, you're so fearless in your styles! Definitely have a go at jeans, they aren't that scary and I found the instructions on the Closet Case Ginger jeans to be brilliant. Also, good luck with your trench coat. I shall look forward to seeing it, as I have one eye on this pattern. I was always an impatient/not very committed knitter and could never face making sock number 2 haha. I want the DP studio dresss. Want want want. 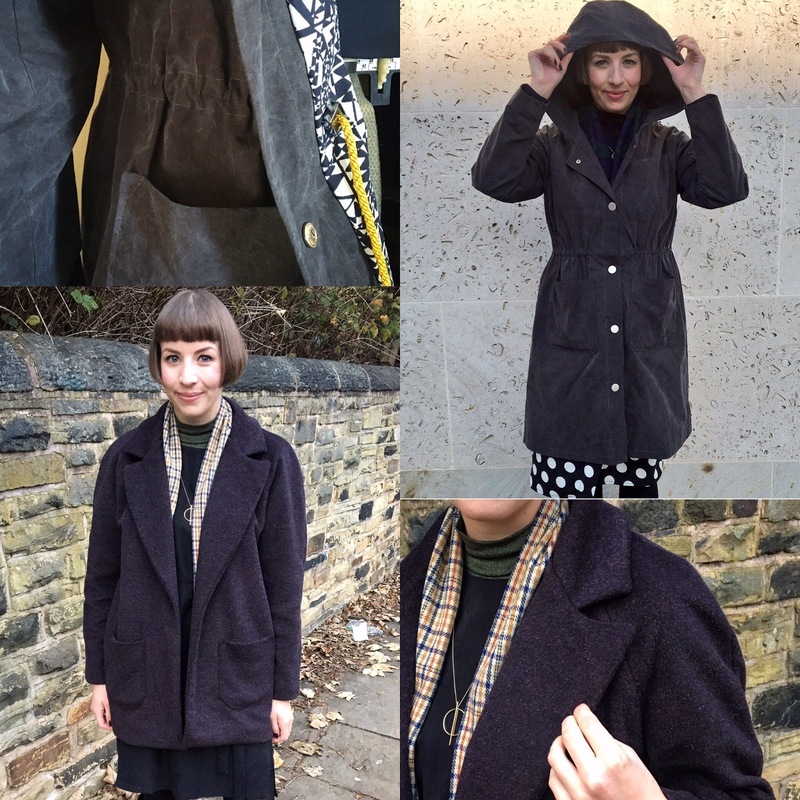 I have had a couple of successful coat makes and now all I want to do is make coats! I love your post, very inspiring!